Leading Rotherham manufacturer Beatson Clark has produced the bottles for the special beer which has been brewed to mark the occasion of Beer Day Britain. Britain's Annual National Beer Day takes place on June 15 and aims to raise the profile of beer as Britain's national drink and to make people proud of Britain's beer and pubs today and of Britain's heritage as the world's brewing powerhouse. It is supported by major organisations in the beer industry such as the Campaign for Real Ale (CAMRA) and the Society of Independent Brewers (SIBA). 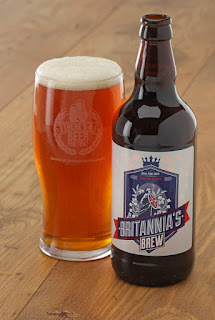 Britannia's Brew is an unusual beer flavoured with British botanicals which has been created at Brewster's Brewery in Grantham, Lincolnshire by a team of brewsters. Beatson Clark has supplied its lightweight 500ml amber bottles for the special limited edition beer, which is exclusively available online via Ales by Mail. 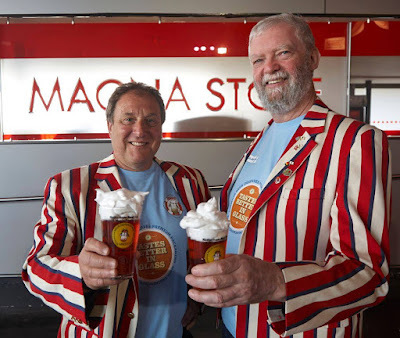 A total of 1,215 bottles of Britannia's Brew have been released to commemorate Magna Carta which was sealed by King John 800 years ago on 15th June 1215. Ale was so important in England in 1215 that it was mentioned in one of the most significant legal documents in history. Charlotte Taylor, marketing manager at Beatson Clark, said: "Beer remains our national drink and we should all be celebrating its heritage and the fantastic beer scene that we have in this country today. "The brewing industry is an important sector for us and we're very proud that this special limited edition beer is being sold in British bottles made by Beatson Clark." In the run up to Beer Britain Day, the finishing touches are being applied to the Magna Science Adventure Centre in Rotherham for the Rotherham Real Ale and Music Festival 2015 which opens tonight. Beatson Clark has signed up as one of the sponsors. Attracting over 12,000 people last year, the three-day festival brings together more than 250 different real ales from England's coastal counties as well as showcasing some of the best brews from the four corners of Yorkshire. Visitors should look out for the 2015 Rotherham CAMRA Champion Beer of Yorkshire winners. Judging took place yesterday with North Yorkshire's Hambleton Nightmare extra stout porter being proclaimed supreme champion. Rotherham brewery, Chantry scored silver for its Iron & Steel best bitter with Osset Brewery's Inception golden bitter taking bronze.